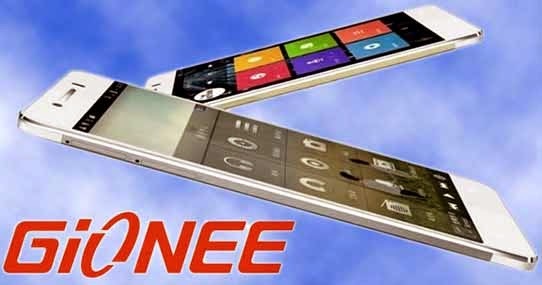 New Delhi : Chinese mobile phone manufacturer company Gionee which currently imports its devices to India, has decided to assemble phones in India while planning a full-fledged factory over a three-year horizon. According to the reports of TOI, Indian government's efforts at encouraging local manufacturing of mobile devices in India through lower duty seems to be working. The Business Head of Gionee in India Arvind Vohra said that the phone maker will firm up plans for local assembly in the next six months. "We will initially go in for a contract manufacturing model and will look to establish an independent manufacturing model over the next 18-24 months." The company, which sold 40 lakh devices last year on a turnover of Rs 2,750 crore, has mandated Ernst & Young for the job. "Volumes have been growing for us at a quick pace and we are looking to double our sales volumes in 2015 while looking at revenues of around Rs 5,000 crore." Gionee which is a Chinese mobile phone manufacturer company and it was Founded in 2002, based in Shenzhen, Guangdong province. it is one of China’s largest mobile phone manufacturers. Gionee has expanded into other markets, including India, Nigeria, Vietnam, Taiwan, Myanmar, Thailand, Philippines and many more. After 2010, Gionee started focusing on slimmer smartphone designs, and by 2014, Gionee held the title of the slimmest smartphone in the world with the Gionee Elife S5.5 whose body is only 5.5mm thick. The government had thrown in sweeteners for local manufacturing in the Budget and there is an incentive of 11% when making in India against imports. The move has prompted many companies, including some importing from China, to look at making in India. "We may look at investments of Rs 300 crore for setting up a factory operation here," Vohra said.